Residents in Victoria, Sooke, Chemainus, Shawnigan Lake and Duncan donated over $18,000 at the 29th Chip In For The Kids Christmas tree recycling event held in early January. Funds raised go to support Easter Seals BC/Yukon to help enable persons with diverse abilities in communities across Vancouver Island. 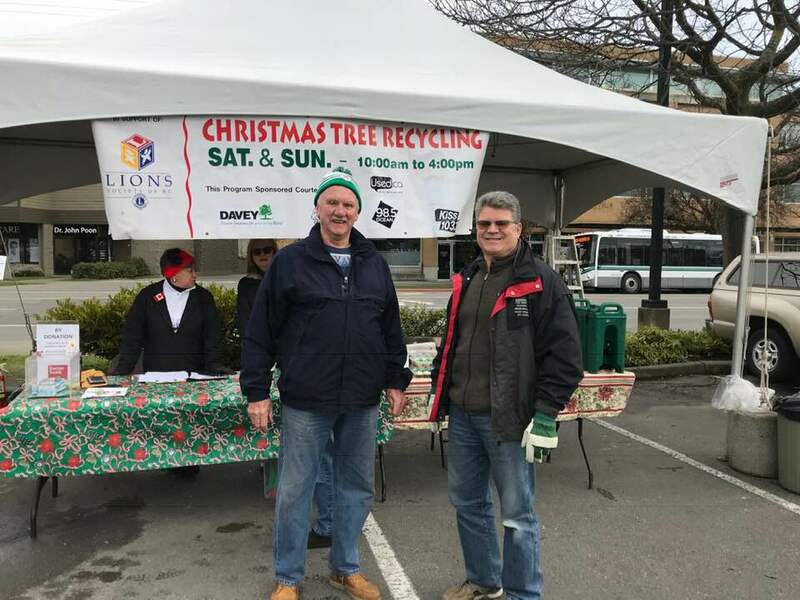 This year, the 29th Chip In For The Kids event was held at nine locations and run by volunteers from Lion and Lioness Club members, Davey Tree Service (Victoria locations), Western Island Tree Service (Sooke location) and Competition Tree Service (Duncan, Chemainus and Shawnigan Lake locations) who recycled the trees and collected the donations. Easter Seals BC/Yukon is one of British Columbia’s legacy charities and was founded as the BC Lions Society for Children with Disabilities (Society) in 1952 to help children with diverse abilities. The Society is dedicated to providing programs and services to persons with disabilities that help build their self-esteem, self-confidence and sense of independence. The Society offers summer camp experiences to children and young adults with diverse abilities, and accommodations at Easter Seals House in Vancouver for families and individuals who are travelling to Vancouver for services and treatments at nearby hospitals and medical facilities. Since it began, Chip In For The Kids has raised over 365,000 for Easter Seals BC/Yukon.